Hiring a consultant to perform a specified job or provide expert advice can benefit your organization. Typically, you'll engage such a consultant on a contractual basis so he delivers within a given time for some agreed-upon compensation. Using a consultant also has its disadvantages -- the outcome of your engagement may not always be as fruitful as expected, leaving you disappointed. Contracting an independent consultant has the benefit of introducing skills and abilities not available in your organization. Whether you hire a consultant for training or to set up a project, you rely on his expertise to get results within a specified time, which can enhance productivity. This can be a one-time engagement that frees your staff to concentrate on your core business. In addition, the consultant often will provide an outsider's perspective to your undertaking, which can help prevent a company from becoming too insular in its thinking. 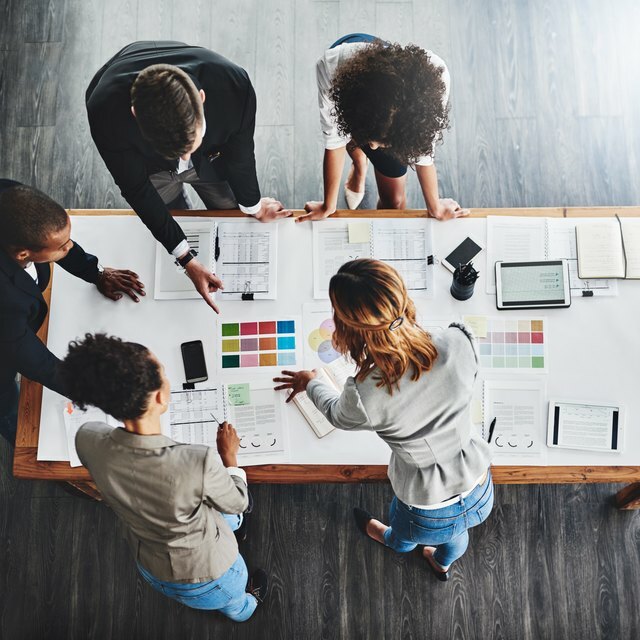 Often, it's economically prudent to engage the services of a consultant when you're beginning a new project, such as implementing a marketing strategy or changing your business methods. Their experience cuts training time and ensures you avoid expensive pitfalls. Unlike regular employees, you don't have to maintain consultants on your payroll once the project you hired them for is complete. Your organization saves on both benefits and payroll taxes. In addition, you save on overhead and management costs associated with the administration of employees. Consultants often lack knowledge of in-house procedures. This can create work conflict, as their mode of operation may affect workflow for your regular employees. You typically have limited control over independent contractors; they are guided only by what is spelled out in the contract. If you operate a multinational corporation, hiring consultants in foreign countries can be a challenge due to language difficulties and cultural differences, requiring extra resources to ensure a productive engagement. Most times, consultants are contracted to fill a critical gap. You may have no in-house expertise to check whether a consultant's methods will provide the quality deliverable you expect. If you are not actively looking for feedback or a status report but accord him the leeway to operate independently, you risk getting low quality results. It's vital that a member of your implementation team keeps tabs on the consultant's activities, pulling status reports and promises made. It's also vital that there's communication with the consultant throughout the process, to ensure he understands both the problems you want him solve and the constraints that may limit his options. For example, a consultant who develops a software solution for your business won't meet your needs if it doesn't work well with your existing system.